So okay, I don’t want to be a traitor to my generation and all (Clueless quote intended), but currently the North Carolina BBQ tradition is what’s flooding my Inbox. And until you Memphians step up your game or relinquish your sauce secrets, we’ll publish what’s being pushed, ya hear? 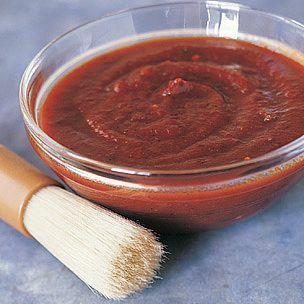 This is the sauce that goes with Lexington Pork Shoulder, and while I’m usually a Memphis BBQ purist, it sounds pretty darn good. Get mixy. Mix all ingredients & serve. No heat required.